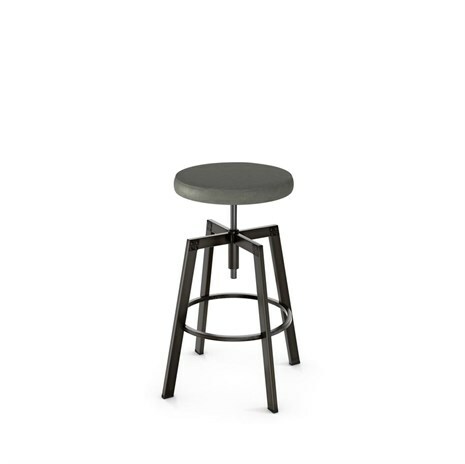 In fact, beyond several top brand names of barstools, if you want something you don’t see here at Alfa Barstools, we can also do custom backless barstools as well. 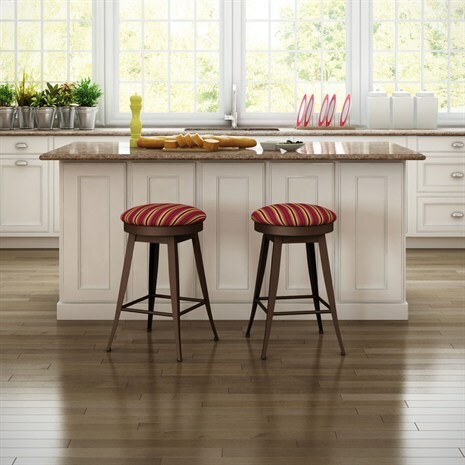 Backless barstools can have some big benefits, particularly from a space saving perspective. 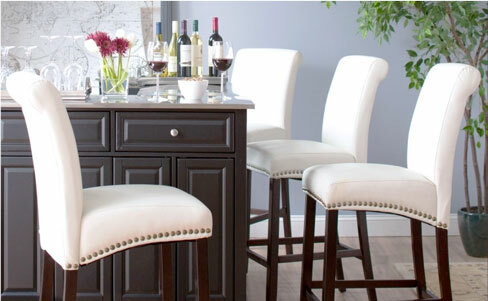 Backless barstools can be a great option when you want bar or counter seating without clutter. 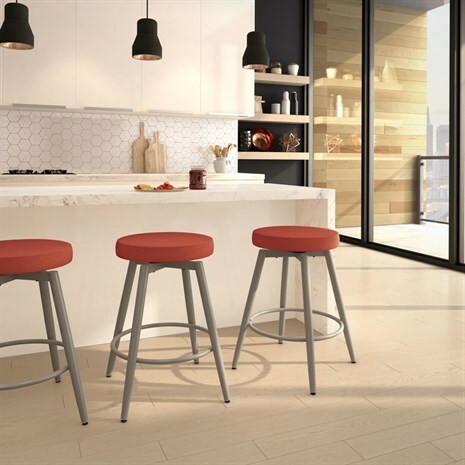 Backless barstools offer seating with a clean look and can also be a great option where space is at a premium as they can be tucked under counters easily. Out of sight; out of the way. 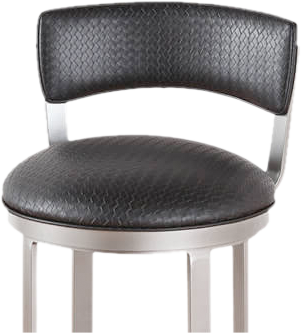 Popular styles for barstools without backs include leather saddle seat barstools (super comfy! ), wooden or brushed steel round backless stools, smaller narrow cube stools for those who want to optimize their small spaces, and more. 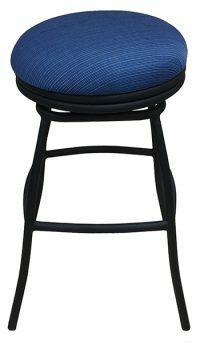 We offer swivel and non-swivel stationary stool options with and without footrests. 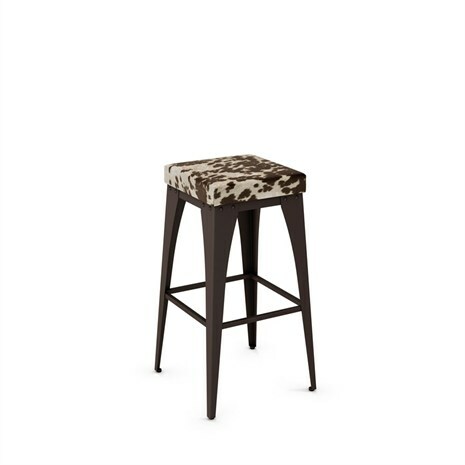 Backless Barstool Heights – How High? 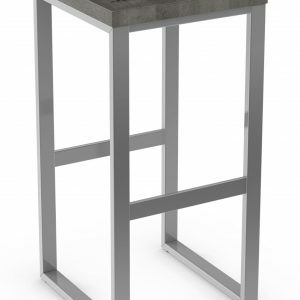 Want to weigh your options with backless, low back, or high back barstools? Different heights will work for different spaces. 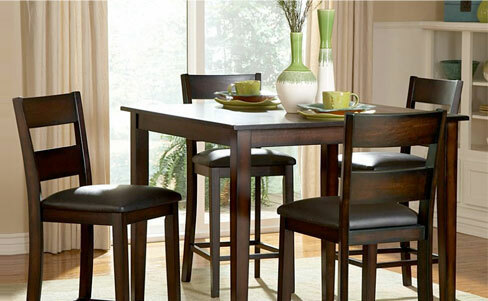 There are vanity or kitchen table heights, bar height, lunch counter, pub height, and spectator height. 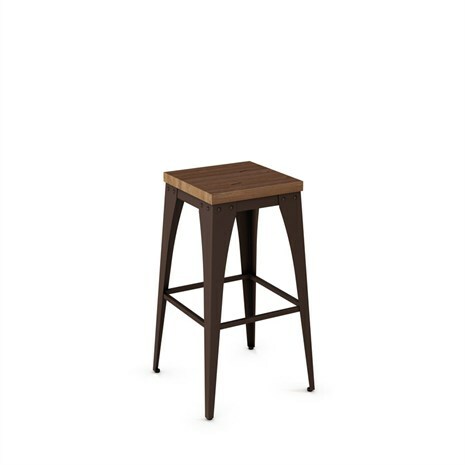 We sell every height from general table height through to extra tall 36” stools. Height wise, you want to sit comfortably at the counter or bar, able to tuck your legs under and preferably, with enough room to cross your legs. In terms of width, you want to be sure that you and your family or your guests can alight from their seat without bumping into one another. 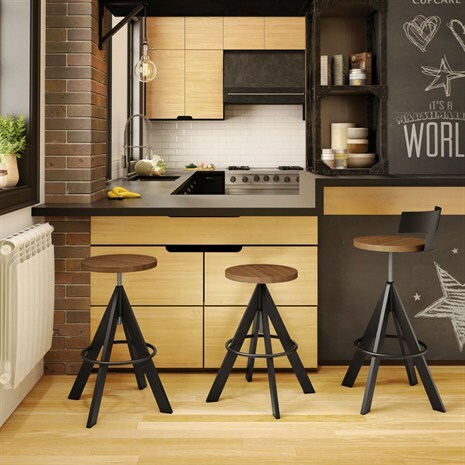 You can fit more armless and narrow stools in a tight space, but remember that people will need to get around the stool and a backless stool typically doesn’t have swivel capability. 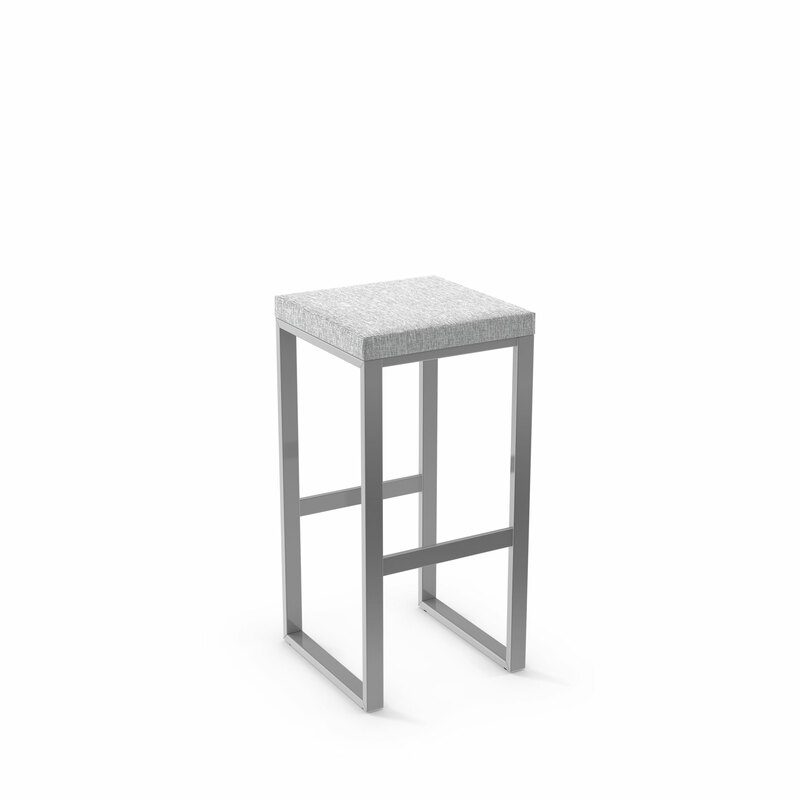 We have a handy measuring /sizing page to help and are happy to provide personal assistance to ensure you get the quantity and sized stools that will work within your space. 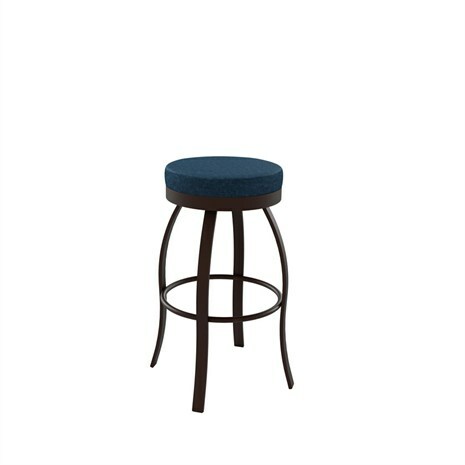 Whether you want backless stools, low back stools, or something with a high leather padded back, Alfa Barstools cares about quality, customer service, and a great experience. We encourage you to browse our site to see our great selection and our low prices. Need help? We are happy to guide you through the ordering process. Want to talk about custom barstools? We are happy to help. 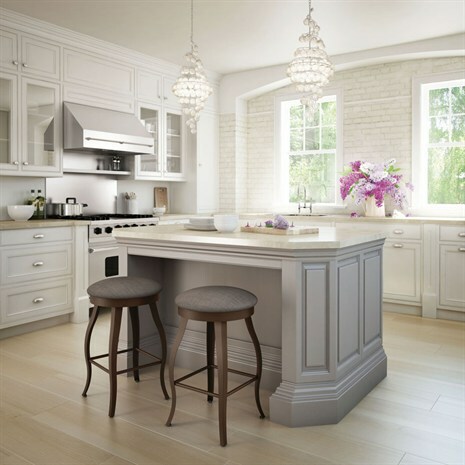 With more than a quarter century in the bar and counter seating and dinette set industry and many residential and commercial customers who give us rave reviews, we are confident that you won’t be disappointed when you buy backless barstools from Alfa Barstools.